Jessica Drew. Private investigator, sometimes Avenger and… mom to be?! Marvel has released a first look at Spider-Woman #1, the new ongoing series from writer Dennis Hopeless and artist Javier Rodriguez! 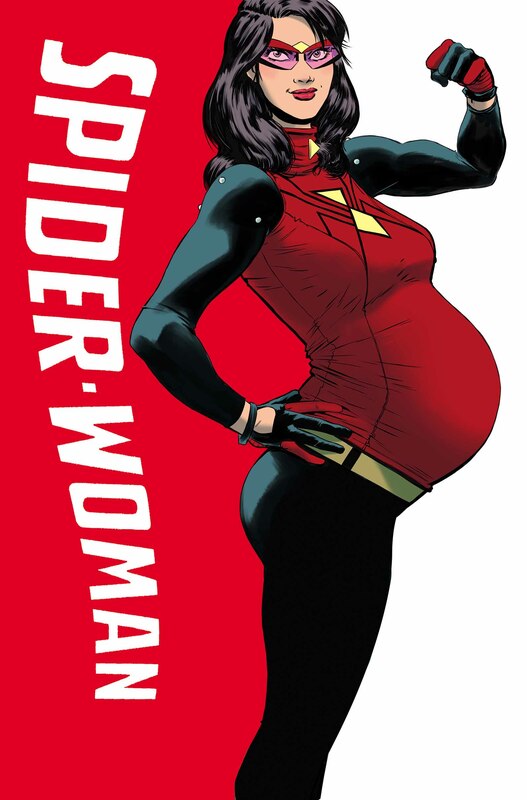 It’s been eight months since the end of Secret Wars, and Spider-Woman has a whole new responsibility. She’s super heroing for two now! Ben Urich and Porcupine are still along for the ride but they aren’t making Jess’ life any easier. Half the time they won’t even let her leave the car! How’s a girl supposed to save innocent lives and keep herself out of harm’s way? Find out in the MOTHER of all Spider-Stories this November!